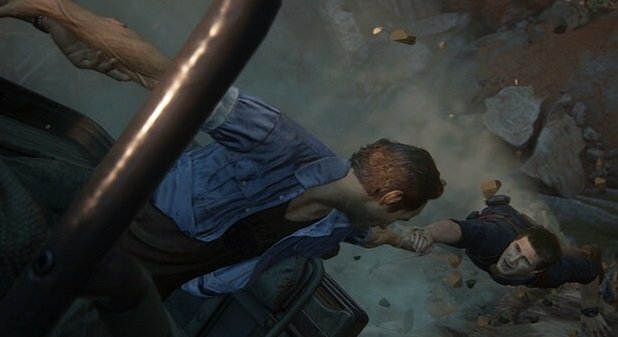 Uncharted 4: A Thief’s End Review And Gameplay: After a long wait Nathan Drake finally arrive with its latest expedition in the Uncharted 4: A Thief’s End which is most anticipated game of the year. This year is great with new Uncharted a Drake’s adventure life again started with many years as he his last venture is Uncharted 3 in 2011 which is among the best game of the year. Uncharted 4 takes the journey to another with new excitement, new mission , new combat moves , new characters and much more to talk about. The experience of adventure as you start the game with jaw-dropping action. 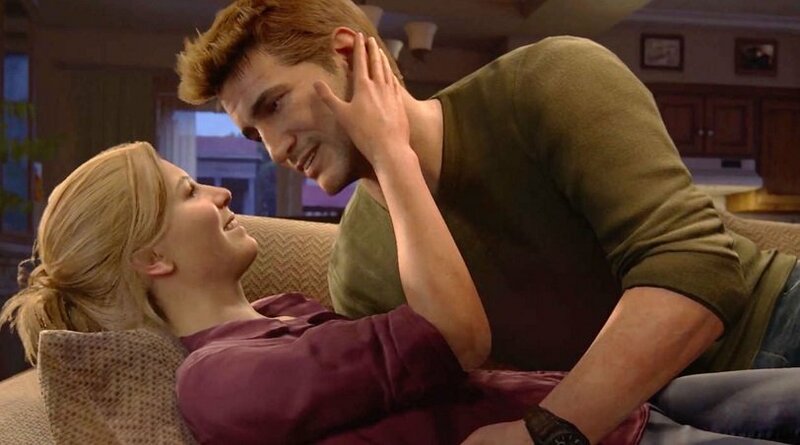 Naughty Dog studio redefine the graphics as it matches new next-generation graphics of PS4 with many new game engines and it look like very real surroundings and much more. Uncharted is basically a treasure hunting game which started its journey in 2007 with Uncharted Drake’s Fortune and story continues with 2 and 3 instalment and finally 4 instalment as the title suggest A Thief’s End looks like this is last part of this journey but won’t look like this as in the game doesn’t end with Drake’s end which is clearly a sign for next instalment. Uncharted is most beloved game for Playstation user as it has it’s own selling records and many awards. Game is give you taste of full combat fight, gun fight ,running ,crawling and so on and excitement won’t end until you finish the game as each chapter put you forward to play more. Playstation after selling 40 million units of PS4 they finally wanted to triggers the sales with release new Uncharted game which is must for a Playstation user. And Sony finally listen to gamer and release the Uncharted 4. The story takes Drake for a treasure of a mysterious 17th century pirate said to have escaped with over £50 million as calculated in today’s date and disappeared somewhere around Madagascar. Which brings Drake Sully and his brother Sam which is newly mentioned in this series who supposed to be death 15 years ago and returned with this treasure map and the excitement continues and Drake started expedition. As we concern about Sam the game has to tell two stories – Nathan’s search for the Pirate Every’s treasure and the brother’s previously unmentioned existence. The flashback levels and anything relating to Sam, including Sam himself, which gives gamer a great depth of understanding about their relation. The game ground breaking journey really starts after 5 hours in, except Sam replaces Sully most of the time and overall game is about 16 hours including cut scene. The enemy is this time are Pirate, who lived somewhere between 1659 and 1696. In Uncharted Drakes goes in Libertalia, the pirate city named in Uncharted 4, was actually the creation of another book called ‘A General History of the Pyrates‘, written this fiction on popular book at that time. As we talk about the villain the wealthy and ruthless Rafe Adler, who wanted to prove his worth beyond his inheritance. As the mercenary leader Nadine Ross, who’s work is to satisfy a client and rescue her company from collapse. As come over Captain Henry Avery who is the founder of Libertalia — it’s the pursuit of redemption, as inspired Saint Dismas, the “Penitent Thief” present at Jesus’ execution. 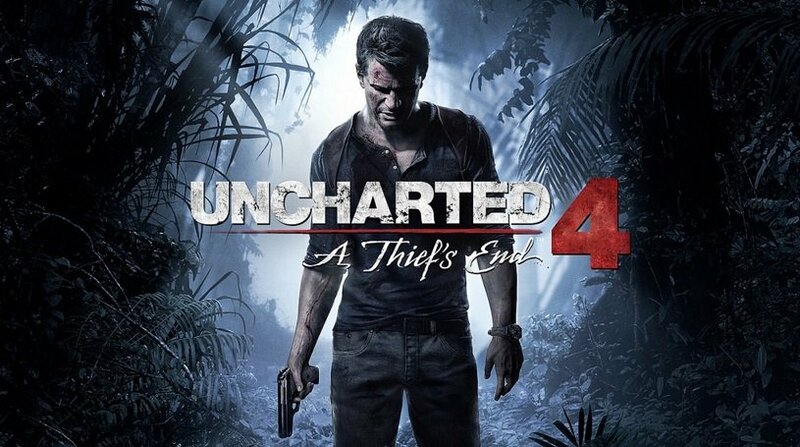 As Uncharted is among the best story telling series of game from its beginning and Uncharted 4 won’t let you down with its story line from places history to character communication each things are carefully detail and crated in piece of pie. Whole story line good and never bore you and this always compel you to more get into it. As story start it shows the correct way to represent story line with small step to get to open whole aspect why Drake wanted to do this. As we look through the charter the protagonist Drake led whole story with his story before 15 years and how his relation with his brother Sam who first to make entry in this journey. As we say about Sully he his still best in his work with his guns and helping attitude which benefit Drake to complete his journey. There are many story scene which charters interact with each other well and makes you feel real in the depth. As we look to Elena who Drake meet in last instalment and they love each other. The chemistry between them is excellent and shows perfect which best ever in the uncharted history. As they play game in the game which sounds very crazy but both charter show their characteristics very well. Uncharted 4 is best among graphics previous instalment and it have next-generation in PS4 which makes game a real deal breaker. As Uncharted 4 look very awesome with vistas and beauty of nature which looks original. All the habitat, tree, mud, mountains, snow, road and son on things are best in there level with each is crafted with beauty and thanks goes to the developer who working for this game for year and present this awesome game. As we look for toward campaign mode which is life for game and not doubt to say that this session is gives you jaw dropping experience. Game has full redefine in terms of game tactics with many new feature and combat mode which give you feel of new. As game include new fantastics rope swinging fight and attacks, with amazing dogging mode, player can now sneak or stealth attack which is new to this game now user can get kill enemies like an assassin without wasting bullet and dragging other attention. Game also satisfy you with great fighting mode with new moves and attack. Now player can tag other enemies and oder other character to kill him which makes it pure stealth attack. Now we talk about explosion the game doesn’t need any introduction about it as the whole level it surrounding with plenty of explosives which kill more enemies it lesser time. Detailing of character is excellent and detailing of skin,face depth and detail lips are also detail and look originals, clothes also add natural feel to it as wind blow cloth also blow, cut marks on the face is also awesome and good over it feels and look original. Game also include explore mode in which player go into safari in explore place with jeep and there are many interaction with jeep which creates a awesome safari. It journey get you engage with game for hours and you’ll explore. New multiplayer mode of the game also include new game mechanics and on the other hand user use some special power which is taken from previous games. Stage belongs with high impact action with shooting other players and earns reward which totally use the game mechanics for killing other player. The game able to runs at 1080p/30fps for its campaign and 900p/60fps for multiplayer. For overall there is no issue in gaming game running smooth with very fine detail. Player can upgrade their character with special power as they earn in the campaign power include a teleporting speed and melee boosting power up. grappling hook which creates a new ground of attack swinging all around places and killing player with awesome techniques. Sneaking a peaking to killing an player feels like assassin killing techniques. User can take benefit for friendly combat like snipers and medics that can fight alongside you. Which creates more interaction for players in game as they can play group games with combat facility. 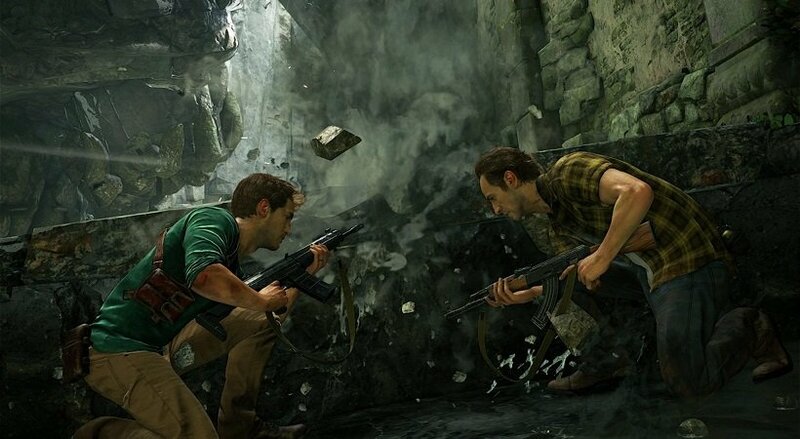 Uncharted 4 is the best in class game in adventure with very best graphics with full action and adventure. As Naughty Dog studio take this game to another level with many things like character, places, player interaction, multiplayer, combat fight, climbing and much more as compared with the previous one. 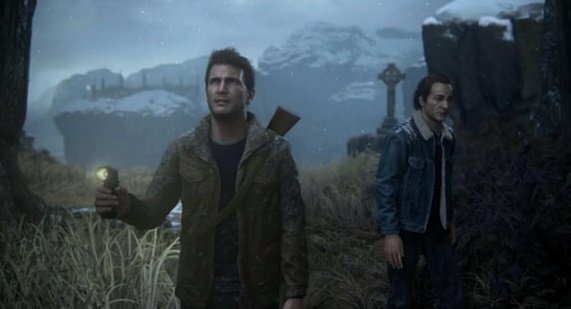 Uncharted 4 takes the story of the game with new introduction of his brother Sam and then his new venture start game also show relation between the character with great level of detailing as feel like original. 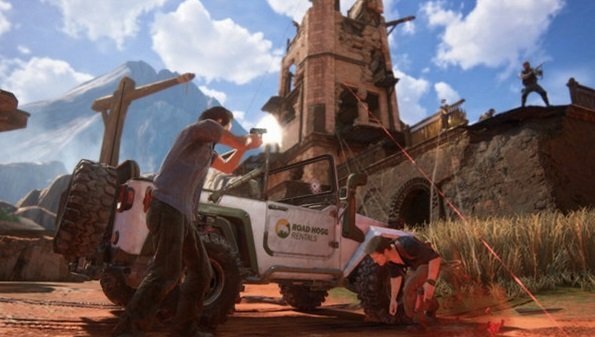 As we look towards the places in the Uncharted 4 this year goes for the best graphics detail as player can look and feel the place like mountains, desert, snow and forest which each have its good at detailing. Uncharted 4 launches on May 10 only for PS 4 user as it made by Sony so sorry for PC and XBOX user who won’t able to play this journey. As we talk about critics Uncharted 4 take love with them as is rated 10 on 10 in most of the famous critics. Uncharted 4 has long way to go and collect more award as time passes. Player also loved to play with it and enjoyed it lot don’t wait for reviews and take your copy as soon as possible as it may out of stock. As we talk about further releases of Uncharted series this game won’t look the end of journey of Nathan Drake Naughty Dog also preparing for another excitement journey in future so hope for the best. Previous articleMoto G, Moto X Rumour Or Truth? Mr. Haaris is Tech Blogger at Tech Awareness. Who's interest point is in Apple Products, Microsoft Products, and Smartphones. He has 2 years of experience as a technical writer and tries to give the best technical point to its reader.